Mid-summer, a group of IIT- graduates and their seniors were sweating it out in the outskirts of Gurugram, fiddling with their laptops to calibrate sensors as they prepare for yet another round of testing a fully driverless shuttle. The campus of Hi-Tech Robotic Systemz Ltd offers very limited space for such testing but that has not stopped the company from developing Novus Drive autonomous shuttle that can ferry over six persons, which was showcased at the Auto Expo last year. The company is preparing itself to cash in on the opportunities. It has already increased R&D headcount to 120 from around 50 three years back. "We are living in exciting times. Being the early movers in developing the technology and intellectual property around underlying tech for autonomous and driver assistive systems, we are in a position to offer full spectrum of products ranging from Autonomy Level 0 till Level 5," Kapuria said. The Gurugram-based firm is already working at various stages with all the major OEMs in India. "Now we are looking outwards and going global with our proven track record and long-term contracts with blue chip OEMs for driver assistive systems, AEB, autopilots and fully autonomous vehicle technology (software + hardware)," he said. Kapuria, however, said the road towards autonomous driving would be incremental in nature. 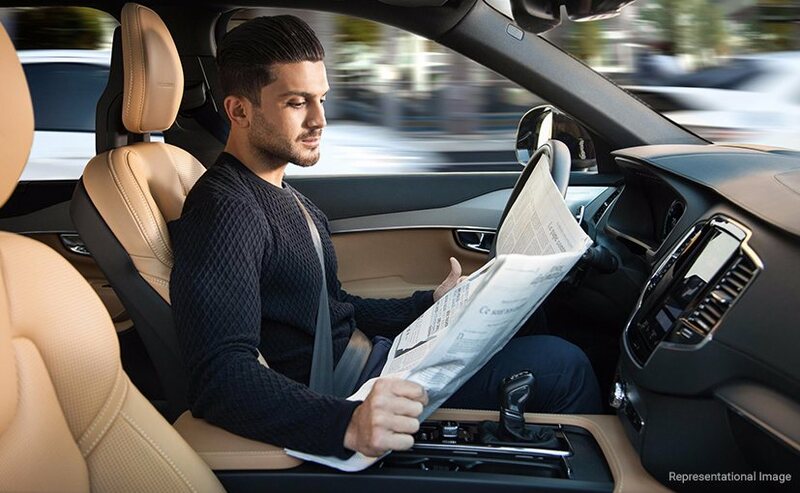 It will start from driver assistive systems such as forward collision and lane departure warnings, autonomous emergency braking, traffic assist to autonomous vehicles that ranges from highway autopilots, constraint environment autonomy till fully autonomous vehicles. Patience is the key here.